Seems like we should be making progress on environmental and animal issues, doesn’t it? Then again, maybe not. Fifty years ago, nearly half a million lions roamed Africa, but that number has dwindled to around 20,000, thanks to poaching and other travesties. To make matters worse, lions, unlike elephants, have virtually no protection under government or international mandates. 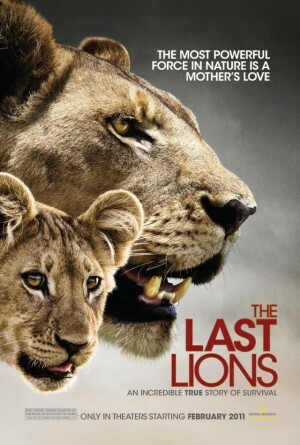 All this and more is covered in this well-researched documentary from husband and wife team Dereck and Beverly Joubert, award-winning filmmakers from Botswana and National Geographic Explorers-in-Residence. This film is beautiful and moving, with stunning cinematography.